Joe has 29 years of healthcare financial management experience. Eighteen of those years have been spent in the long term care industry. 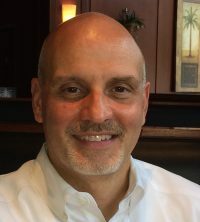 Joe has experience with local, regional and national long term care providers, including acquisitions, divestitures, system implementations and organizational restructuring. He enjoys the daily challenge of improving processes to maximize financial results without compromising clinical results. As CFO, Joe is responsible for the all aspects of the business including accounting practices, financial planning, treasury and financial reporting. Joe currently lives in Roanoke VA with his wife Mary Lynn and their 5 children. 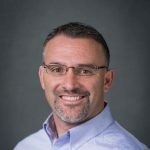 Robert has 23 years of experience as both a licensed nursing home administrator and regional director of operations in the skilled nursing and rehabilitation industry. He has managed both nursing homes and assisted living facilities across the United States. Robert brings a sincere passion for the elderly, and an intensely strong work ethic, which he attributes to his very close relationship with his grandparents and his parents. As CEO Robert is directly responsible for the fiscal and efficient operations of all of Kissito Healthcare’s senior care entities. Robert resides in his hometown of White Sulphur Springs, WV with his wife and four daughters. He is actively engaged in his church and his personal relationship with Jesus Christ. Kathy Sanders is a Registered Nurse with a Master’s Degree in Healthcare Administration. She is also a Licensed Nursing Home Administrator. Kathy has thirty plus years of nursing experience. 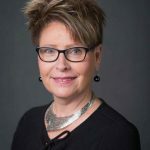 Kathy worked her way up from a certified nursing assistant, Licensed Practical Nurse, Registered Nurse, Director of Clinical Services to a Vice President of Clinical Services in a variety of healthcare settings. Kathy possesses strong clinical expertise in the field of long term care and post acute care. She demonstrates a strong personal commitment and passion for the delivery of healthcare services over a broad spectrum. Kathy has served on a variety of committees with the West Virginia and Virginia Healthcare Associations. Kathy and husband Michael have three children, one granddaughter, two dogs and live in the beautiful mountains of West Virginia.